This challah cover is designed with a vertical split design, divided by a gold colored ribbon. 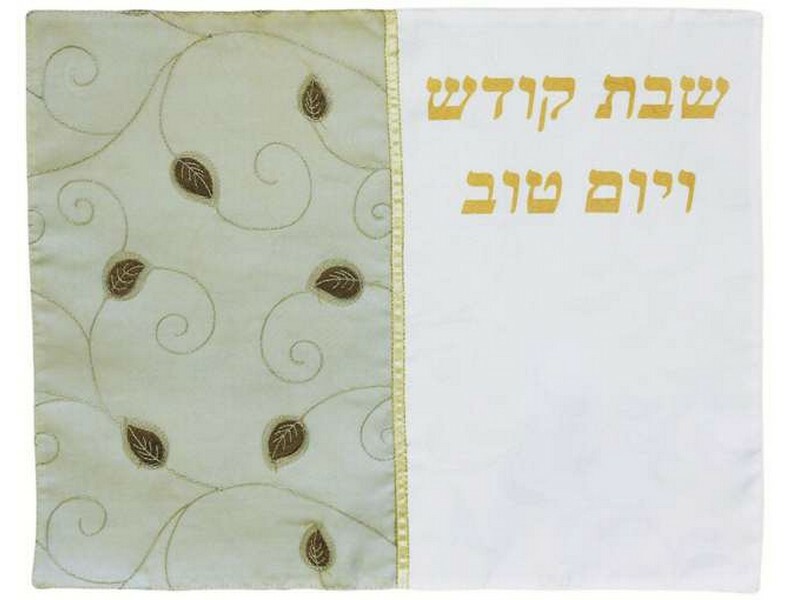 The right half of the challah cover has the Hebrew words “Shabbat Kodesh v’Yom Tov”, “Holy Shabbat and Yom Tov”, written in gold lettering. The left side is decorating decorative swirls with brown colored leaves. This Challah cover design will add to the tranquility to your Shabbat table.